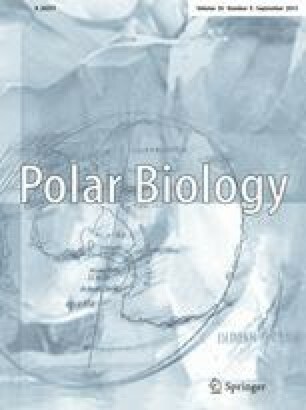 The dated material was taken from organic deposits occurring in snow petrel colonies of the Untersee Oasis, central Queen Maud Land, East Antarctica. These deposits have been formed by accumulation and solidification of stomach oil regurgitated by petrels over a long time period. Within the deposits the 14C ages tend to increase with depth. Local mixing and irregular 14C profiles are of minor importance. This confirms the suitability of such material for 14C dating. According to the 14C chronology the colonies near Lake Untersee have been continuously occupied at least during the past 8 kyr. Surprisingly old ages for three samples, namely 13.8, 18.4 and 33.9 kyr BP, suggest that breeding colonies must have been in the study area during the last glacial maximum. Information about the minimum age of moraines and the timing of local ice retreat can be obtained from a correlation between the oldest 14C age of the organic material accumulated on moraines and the altitude of the sample site.